A typical mountain day will usually include a wide range and variety of terrain. When leading/managing a group in the mountains you need to be able to draw on your experiences to be able to adapt to the terrain and conditions you encounter and manage the (varying) ability of your group members. There are times when, no matter how good our plans are, we can find ourselves with no alternative other than having to solve the problem. 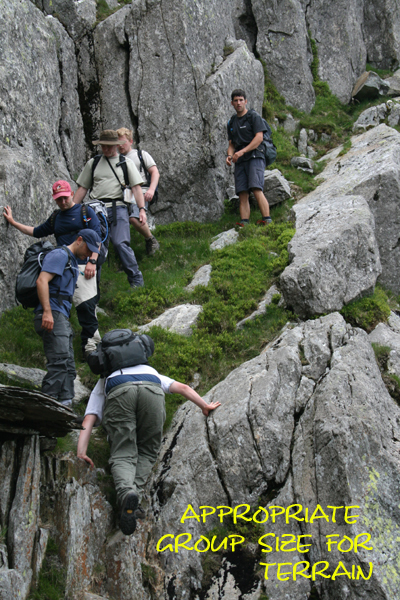 You need to have the skills in place and to be able to select the appropriate technique to manage the hazard, keeping yourself and your group safe. Hazards are always there; they are not going to go away, so you need to be able to identify and manage them, and put in place procedures to deal with them. In all hazard management, identifying and avoiding the hazard is the key. Having sound planning, route selection and route finding skills in place will go a long way in preventing a problem arising. Dynamic risk assessing Dynamic risk assessing (asking yourself, ‘what would happen if…’) can be a big help in preventing a potential problem occurring. Group size The size of your group is well worth considering; although there are no set numbers/ratios, with large groups it can be harder to communicate, manage the group and give them a worthwhile experience. It’s good to be able to see all group members at a glance – on moorland this is possible – and it’s usually easier to remain in control of group sizes of up to ten. 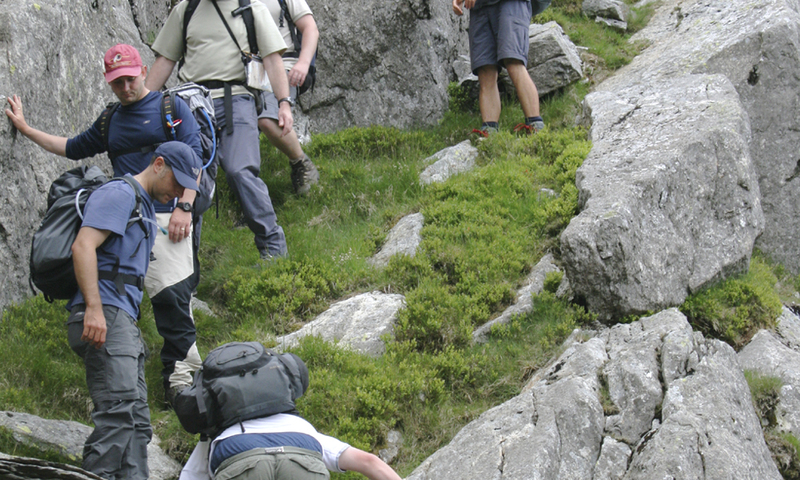 On more mixed and steep ground, with rocky steps and the potential of slips and trips, large numbers are not so easily or safely managed; ratios need to be considered, keeping group size down to safe, manageable levels. 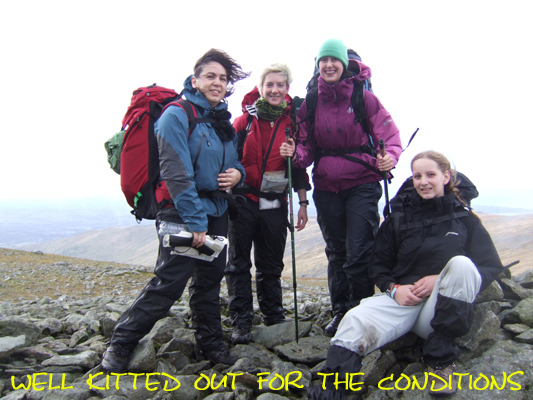 …and sizing up your group Your planning should start before your mountain day, by doing bit of homework to find out a little bit about the experience, ability, fitness, medical conditions (if any) and the aspirations of your group members; this can save potential problems on the day. You also need to provide them with a list of clothing and personal kit that they’ll need. Sometimes, meeting your group for the first time on the day, you won’t have this opportunity. That’s where you need to adapt to the situation and draw on your experience to provide a safe, quality day for our group. Safety is not a set of do’s and don’ts – it’s an appreciation of what can go wrong, how to prevent things going wrong and how to put things back on course if they do go wrong! Good route planning/selection, recognising potential hazards to scope out the line of least resistance. Remember that avoidance and adjusting your route (if necessary) is often better that sticking to your original plan at all costs. Be able to adapt to your surroundings and put things back on course when they don’t go to plan. Work within your comfort/ability levels (and have something in reserve).